Given the volatility of cryptocurrencies like Bitcoin (BTC), Ethereum (ETH), and Ripple (XRP), it's good to keep track of your transaction history and get a better idea where you stand financially. 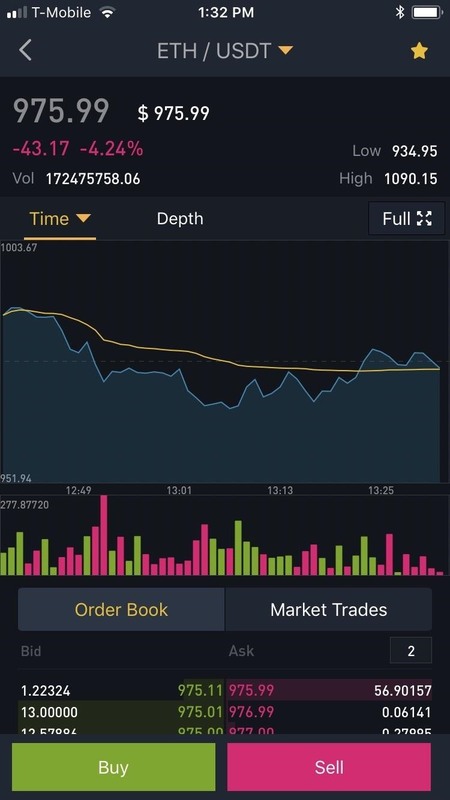 Though tracking down past trades on Binance may seem convoluted at first, it gets surprisingly intuitive once you get the hang of it. Staying on top of all your transactions — whether they're trades, deposits, or withdrawals — not only helps in painting a clearer picture of how much you've spent, but also aids in understanding your portfolio's overall health. This in turn can help you decide on pulling the trigger on future transactions to ensure you get the most out of your trades. 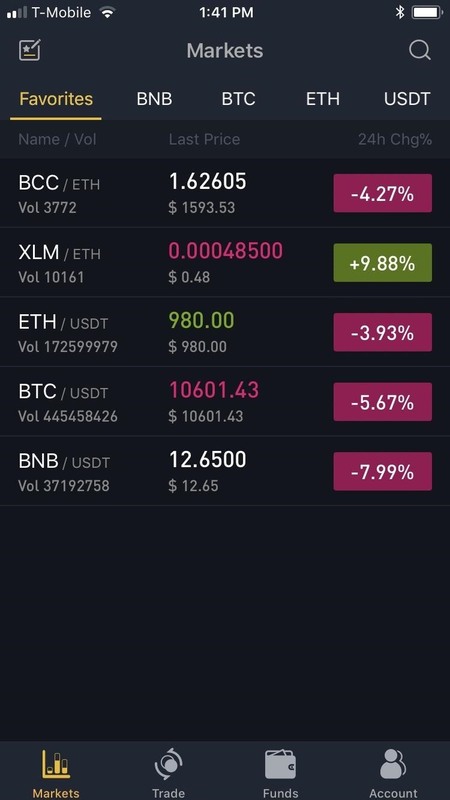 To start, open the Binance app for Android or iPhone and tap on "Funds." From there, tap on "History" in the upper-right corner of the screen. You'll now see a page containing logs for all your deposits and withdrawals. 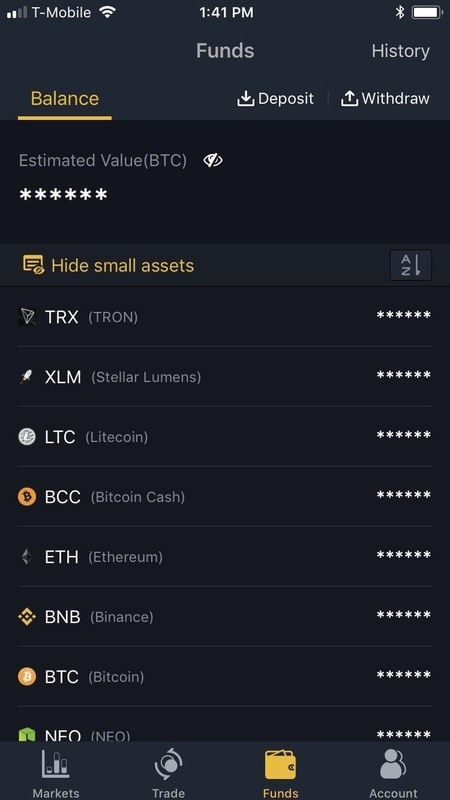 Tap on the Deposits History tab to view all your past deposits into Binance, or select the Withdrawals History tab on the right to see all your past withdrawals out of the exchange. To view your trade history on Binance, tap on "Markets," then select any base currency. Alternatively, if you have any trading pairs saved, select "Favorites," then tap on any trading pair. 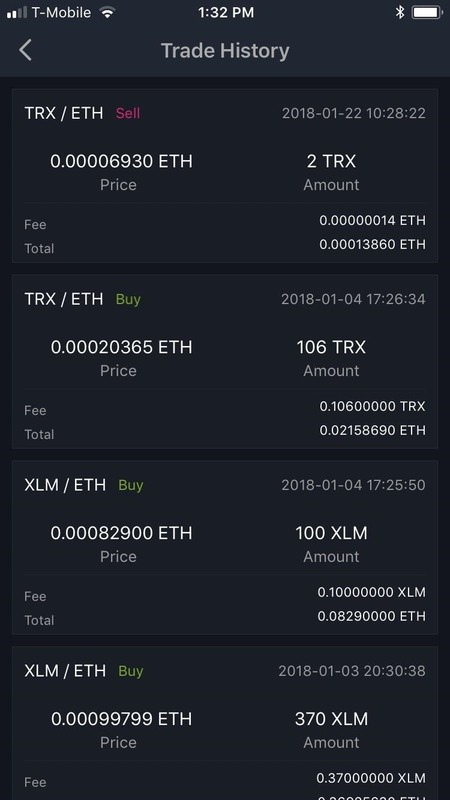 Either way, select either "Buy" or "Sell" from within the summary page to get into that coin or pair's buy or sell page. 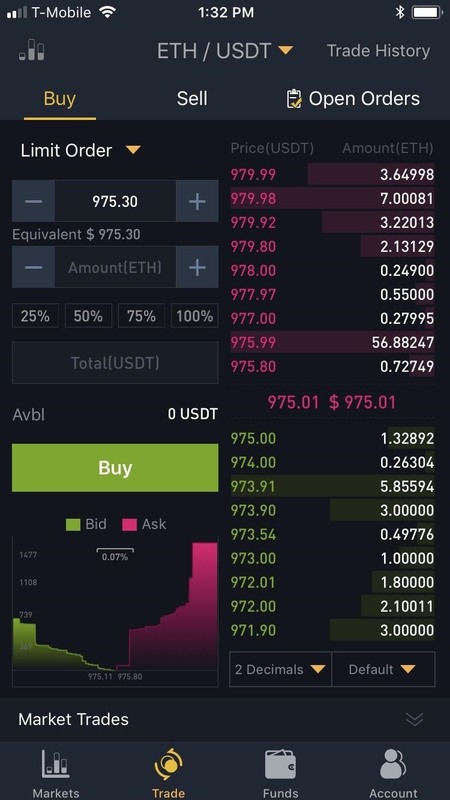 Inside the coin or trading pair's buy or sell page, tap on "Trade History" in the upper-right corner of the screen. You'll now be taken to a page detailing all your past transactions. 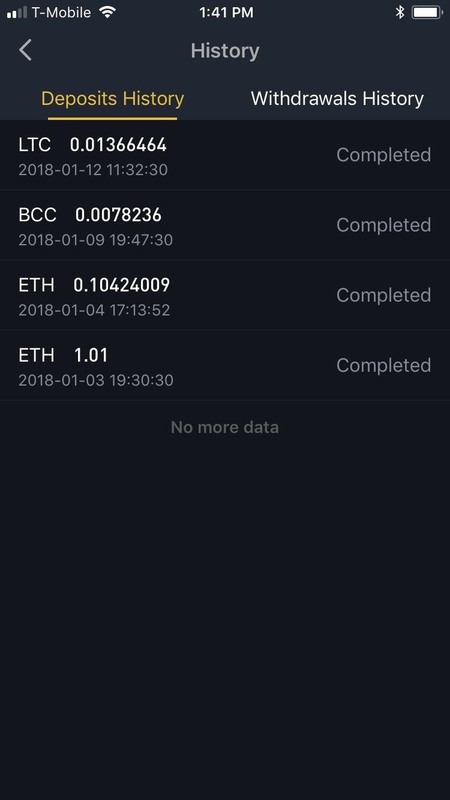 From here, you can check out all your past trades, including the time of the transaction, amount of coins bought or sold (along with their rates), and fees paid if you have an iPhone. If you're using an Android device, you'll need to tap on each transaction summary within the "Order History" page to view the history in detail.